BMW has introduced the Competition Package for the M5 and M6 which boosts power to 575PS - making them the most powerful production BMWs ever launched. The pack costs an extra £6700 for the M5 and £6500 for the M6. 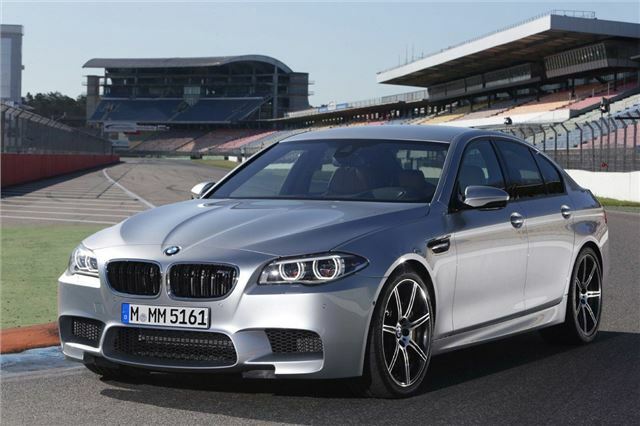 As well as the hike in power - which drops the 0-62mph time to 4.2 seconds - the Competition Package for the M5 adds sport suspension settings, sport steering and a sports exhaust with black tailpipes. There are also bespoke 20-inch Double-spoke alloy wheels. The M5 gets the updates from the recently updated 5 Series and gets extras such as the M Double-spoke kidney grille from the M6 plus the new M Steering Wheel with M DCT paddles. At the back there are new light clusters with 'thin blade technology'. The M6 Coupe, Convertible and Gran Coupe are also available with the Competition Package which sees the 0-62mph drop to 4.1 seconds (4.2 seconds for the Convertible) but none of them are cheap with the M6 Coupe now costing £100,680 and the Convertible version priced at £105,880. Meanwhile, at the other end of the power scale BMW has launched a 518d which is powered by the same 2.0-litre diesel engine as the 520d but with power reduced to 143PS. Claimed economy is 62.8mpg for the saloon and 58.9mpg for the Touring with CO2 down to 119g/km and 127g/km for the Touring. The 518d saloon starts at £29,830 for the while the 518d Touring is priced at £32,155 for the SE.